Kevin Ramsey, installer and distributor for the Ottawa region, offers trustworthy professional services. 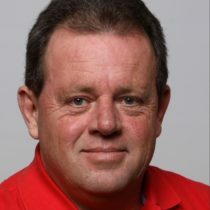 Kevin Ramsay has 25 years of experience as an independent worker in the storage and delivery industry. It’s through a decorator hired for a personal project that the discovered the possibilities offered by Pro Post Foundations screw piles. He has since become an unconditional advocate of the products’ sturdiness and efficacy for foundation installation. A Pro Post Foundations screw piles installer and distributor since June 2015, Kevin says there are many advantages associated with the company and its products. Contrary to traditional concrete foundations which require several days to complete, screw pile installation is quick and efficient thanks to Pro Post Foundations’ specialized equipment. Moreover, since no excavation is necessary, the work is done without damaging your property! When asked to say what separates Pro Post Foundations screw piles from the competition, Kevin replied that it’s the piles’ manufacturing quality, which is superior to that all other products. He added that the technical support offered to clients is both proactive and considerate, and that the support he, himself, receives from Pro Post Foundations’ head office offers him a distinctive advantage over the competition. Kevin considers that having built a reputation based on honesty and reliability is his biggest achievement, and that being capable of offering his clients a product that allows them to build the structure they have been dreaming of is all that he can ask for.